Did You Feel the Virginia 2011 Earthquake? RICHMOND, Va. (AP) — Officials have confirmed that a small earthquake rattled central Virginia this past weekend.News media report that the U.S. Geological Survey says a 2.3-magnitude earthquake occurred in Louisa County about 4 a.m. on Sunday. Officials said the quake was centered about 9 miles south of Louisa and 27 miles northwest of Short Pump.No injuries were reported in Sunday’s quake.Louisa County is no stranger to earthquakes. In 2011, a 5.8-magnitude quake that was centered in the Mineral Area of the county was felt all the way to New York and Georgia. Australia will soon sell uranium to Ukraine for power generation. Foreign Minister Julie Bishop will arrive in the United States on Wednesday for a global nuclear security summit and will also attend a dinner meeting at the White House hosted by President Barack Obama. She will have talks with British, Dutch and Singaporean leaders and foreign minister counterparts. At the summit, leaders will discuss ongoing international co-operation on nuclear security and the threat of terrorists acquiring nuclear material or sabotaging nuclear facilities. Ms Bishop will sign an agreement with Ukrainian President Petro Poroshenko to supply uranium for power. Australia already supplies uranium to Canada, China, France, India, Japan, South Korea, Russia, the UK and the US. WASHINGTON — As President Obama gathers world leaders in Washington this week for his last Nuclear Security Summit, tons of materials that terrorists could use to make small nuclear devices or dirty bombs remain deeply vulnerable to theft. Still, Mr. Obama’s six-year effort to rid the world of loose nuclear material has succeeded in pulling bomb-grade fuel out of countries from Ukraine to Chile, and has firmly put nuclear security on the global agenda. But despite the progress, several countries are balking at safeguards promoted by the United States or are building new stockpiles. President Vladimir V. Putin of Russia, where some of the largest stockpiles of civilian nuclear material remain, has decided to boycott the summit meeting, which begins Thursday night. Mr. Putin has made it clear he will not engage in nuclear cleanup efforts dominated by the United States. In addition, Pakistan’s embrace of a new generation of small, tactical nuclear weapons, which the Obama administration considers highly vulnerable to theft or misuse, has changed the way the administration talks about Pakistani nuclear security. While Mr. Obama declared early in his presidency that the United States believed Pakistan’s nuclear assets were secure, administration officials will no longer repeat that line. Instead, when the subject comes up, they note the modest progress Pakistan has made in training its guards and investing in sensors to detect break-ins. They refuse to discuss secret talks to persuade the Pakistanis not to deploy their new weapons. Russia has never publicly declared its civilian HEU inventories. In recent years, Russia has diluted 5,000 kilograms of civilian HEU under Clinton-era programs. The United States and Russia have also diluted tens of thousands of kilograms of military HEU since 2009. The United States retains a reserve of 20,000 kilograms of HEU for civilian use. Pakistan, China, India and Japan are all planning new factories to obtain plutonium that will add to the world’s stockpiles of bomb fuel. And Belgium, where a nuclear facility was sabotaged in 2014 and where nuclear plant workers with inside access went off to fight for the Islamic State militant group, has emerged as a central worry. The country is so divided and disorganized that many fear it is vulnerable to an attack far more sophisticated than the bombings in the Brussels airport and subway system last week. For the first time, the Nuclear Security Summit will include a special session on responding to urban terrorist attacks — and a simulation of how to handle the threat of imminent nuclear terrorism. Ingredients for so-called dirty bombs, which use conventional explosives to spew radioactive material, are still scattered around the globe at thousands of hospitals and other sites that use the highly radioactive substances for industrial imaging and medical treatments. Less than half of the countries that attended the last nuclear summit in 2014 pledged to secure such materials, and they in turn represent less than 15 percent of the 168 nations belonging to the International Atomic Energy Agency.And while the administration succeeded in getting more than a dozen countries to give up their civilian stockpiles of highly enriched uranium, a main fuel of atomic bombs, the Nuclear Threat Initiative said in another report that some 25 nations still had such materials — enough for thousands of nuclear weapons. Still, that does not mean Mr. Obama’s efforts have failed altogether. He is expected to announce a major achievement soon: the removal of roughly 40 bombs’ worth of highly enriched uranium and separated plutonium from Japan. Some of the uranium was fabricated in pieces the size of squares of chocolate that could be easily slipped into a pocket, a terrorist’s dream. And Ukraine was the site of a success that, in retrospect, looks even bigger than it did four years ago. On a bitterly cold day in Kiev, the Ukrainian capital, in March 2012, two years before Ukraine descended into crisis, a team of Americans and Ukrainians packed the last shipment of highly enriched uranium into railway cars, ridding the country of more than 500 pounds of nuclear fuel. It would have been enough to build eight or more nuclear bombs, depending on the skill and destructive ambitions of the bomb maker. Yet there are signs that what began as a global effort to prevent terrorists from obtaining the world’s deadliest weapons is fracturing. In fact, there is a case to be made that even as vulnerable stockpiles have shrunk, the risk of nuclear terrorism has not. There is evidence that groups like the Islamic State are more interested than ever in nuclear plants, materials and personnel — especially in Belgium, where the attacks last week killed more than 30 people. The Belgian police discovered last year that Islamic State operatives had taken hours of surveillance video at the home of a senior official at a large nuclear site in Mol, Belgium. The plant in Mol, a northern resort area, holds large stocks of highly enriched uranium. The results of previous summit meetings have ranged from treaty ratifications to the establishment of more than a dozen training centers around the globe where guards, scientists, managers and regulators sharpen their skills at preventing atomic terrorism. Near Beijing, one of the largest training centers opened this month. “It’s in our national interest” to help foreigners secure their atomic materials, said Nick Winowich, an engineer at Sandia National Laboratories, one of the American nuclear labs that helped in the center’s development. The biggest wins have been the removal of all highly enriched uranium from 12 countries, including Austria, Chile, Hungary, Libya, Mexico, Turkey and Vietnam. The material was mostly reactor fuel. But officials said terrorists could have turned it into least 130 nuclear weapons. Critics of the summit process point to vague communiqués that seem to have done little to drive hard decisions. A sense of summit fatigue now seems to prevail, the critics add, noting that Russia’s withdrawal evades some of the biggest security problems. The Obama administration has also presided over a steady drop in American spending on international nuclear security. Budgets fell from over $800 million in 2012 to just over $500 million in 2016. For 2017, the White House has proposed less than $400 million — half the spending of the high point. The administration has defended the cuts, saying they reflect the completion of some programs and upgrades and the suspension of cooperative work with Russia after its invasion of the Crimean Peninsula. © Wong Maye-E/AP Photo In this Oct. 10, 2015, file photo, North Korean leader Kim Jong Un delivers remarks at a military parade in Pyongyang, North Korea. SEOUL, South Korea — North Korea fired a short-range projectile from an area near its eastern coast on Tuesday, South Korean officials said, in what appears to be another weapons test seen as a response to ongoing military drills between Washington and Seoul. The projectile was fired near the North Korean port city of Wonsan and flew about 200 kilometers (125 miles) before crashing into land northeast of the launch site, South Korean military officials said. It was unclear whether the projectile was a ballistic missile or an artillery shell, said a Joint Chiefs of Staff official who didn’t want to be identified, citing office rules. It was too early to tell whether North Korea used a land target to test the accuracy and range of its weapons or experienced problems after planning a launch into the sea, said an official from Seoul’s Defense Ministry, who also didn’t want to be named because of department rules. North Korea has fired a slew of short-range missiles and artillery shells into the sea and has threatened nuclear strikes on Washington and Seoul since the start on March 7 of the annual springtime war games between the United States and South Korea. North Korea also launched a medium-range ballistic missile into waters off its east coast for the first time since 2014 and touted a new artillery system it says could turn the South Korean capital of Seoul into a “sea of flames.” Experts say the North’s new artillery launchers can fire 300-millimeter shells up to 200 kilometers (125 miles), theoretically reaching Seoul and its surrounding metropolitan area, where nearly half of the 50 million South Koreans live. North Korea routinely tests short-range missiles and artillery systems but tends to do more launches in times of tension with the outside world. It condemns the annual military drills between Washington and Seoul as a rehearsal for an invasion. Tensions are particularly high this year because the drills are the largest ever and follow a recent North Korean nuclear test and a long-range rocket launch. Washington and Seoul say the drills are defensive in nature and they have no plans to invade North Korea. WASHINGTON – The discovery of surveillance footage of one of Belgium’s nuclear facilities in a raid on Islamic State terror cells has lent new urgency to efforts at securing such sites against possible heists of nuclear materials. A dirty bomb is not a nuclear weapon per se, but rather a conventional explosive that would disperse highly radioactive material over a wide area. Though infinitely less lethal than an actual nuclear explosion, officials believe such a device could be highly lethal and render small areas of major cities uninhabitable for a prolonged period. All of this should be top of mind later this week when President Barack Obama convenes the last of a series of Nuclear Security Summits (NSS) launched by the US in 2010 to focus on securing the widespread stocks of potentially lethal radioactive materials stored all over the world. The threat posed by such weapons falling into the hands of terrorists is highlighted in this new documentary released to coincide with the summit. The nuclear security summits, held every two years since 2010, have bolstered international cooperation and raised awareness about the threat of nuclear terrorism posed by inadequately secured nuclear materials worldwide. For instance, the number of countries where highly enriched uranium or plutonium is stored has fallen – but 27 states still store such material, and not always in the most secure circumstances. The March 31-April 1 summit at the White House in Washington will be the fourth such summit, and as Obama’s tenure is almost over, the final in the NSS series. Whether this work will continue is something that deeply concerns nuclear security experts. “If the leaders finish this meeting and there’s no mechanism to continue engaging each other, to continue making commitments to build the global system we need for nuclear material security, we won’t reach the point that we need to in terms of a legal architecture, in terms of leaders that are committed to nuclear security, and in terms of building accountability,” says Joan Rolfing, president of the Nuclear Threat Institute, a nonprofit group that studies nuclear issues. Another concern is Russia’s absence from the summit. Regarded as one of the more vulnerable links in the chain of nuclear material security, Russia has refused to participate in the final summit after its actions in Ukraine prompted US and EU economic sanctions. That has some experts worried that IS or other terrorist groups could take advantage of the loss of focus. Meanwhile, in Belgium, authorities rescinded security badges from several employees of the country’s nuclear facilities late last week after investigations raised concerns about a possible IS plot to infiltrate or even sabotage the country’s nuclear power facilities. In 2012, Belgium confirmed that two employees of its nuclear power facility in Doel quit to join IS jihadists fighting in Syria. The issue, as they say, is on the front burner. Michael Moran is a New York-based Managing Director for Global Risk Analysis concentrating on the United States and global issues at Control Risks, the world’s leading political, integrity, and security risk consultancy. BAGHDAD — Influential Iraqi Shiite cleric Muqtada al-Sadr met with Iraqi Prime Minister Haider al-Abadi Sunday night after beginning a sit-in in Baghdad’s highly fortified Green Zone intended to be a show of force following his calls to combat government corruption. Earlier in the day security forces stepped aside to allow al-Sadr to enter the Green Zone after weeks of protests in the Iraqi capital. Al-Sadr has repeatedly called on al-Abadi to enact sweeping economic and political reforms. “I am a representative of the people and will enter the (Green Zone),” al-Sadr told hundreds of his supporters gathered outside the compound’s walls, asking his followers to stay outside and remain peaceful. As al-Sadr walked through a checkpoint to enter the Green Zone, officials in charge of the compound’s security greeted the cleric with kisses and provided him with a chair. Al-Sadr was accompanied by his personal security detail and the leader of his Shiite militia, Sarayat al-Salam. Supporters of Iraqi Shiite cleric Moqtada al-Sadr take part in a sit-in inside Baghdad’s heavily guarded Green Zone. After he began his sit-in, al-Sadr’s supporters started erecting tents and laying down mattresses. In February, al-Sadr demanded Iraqi politicians be replaced with more technocrats and that the country’s powerful Shiite militias be incorporated into the defence and interior ministries. After weeks of growing protests in the Iraqi capital, al-Sadr repeatedly threatened to storm the compound if his demands for government overhaul were not met. Baghdad’s Green Zone, encircled by blast walls and razor wire, is closed to most Iraqis and houses the country’s political elite as well as most of the city’s foreign embassies. Al-Sadr has called it a “bastion” of corruption. Iraqi Shiite cleric Moqtada al-Sadr prays inside his tent during a sit-in inside Baghdad’s heavily guarded Green Zone. Most Iraqis blame the country’s politicians for the graft and mismanagement that are draining Iraq’s already scarce resources. Unlike the widespread, largely civic protests last summer, however, al-Sadr’s demonstrations are attended almost exclusively by his supporters, who have made few concrete policy demands. Earlier this month, Iraqi security forces manning checkpoints in Baghdad again stepped aside to allow al-Sadr’s supporters to march up to the Green Zone’s outer walls to begin a sit-in, despite a government order deeming the gathering “unauthorized.” The move called into question Prime Minister al-Abadi’s ability to control security in the capital. Iraqi cleric Moqtada Sadr urged Prime Minister Haider al-Abadi to propose a “convincing” reform package but hinted that further protests if he did not would remain non-violent. “I thank the security forces,” al-Sadr said before beginning his sit-in. “He who attacks them, attacks me,” he added. While al-Abadi proposed a reform package last August, few of his plans have been implemented as the leader has made several political missteps and struggled with the country’s increasingly sectarian politics amid the ongoing fight against the Islamic State group. Shiites dominate the central government, while the country’s Kurds in the north exercise increasing autonomy and much of the Sunni population has either been displaced by violence or continues to live under IS rule. 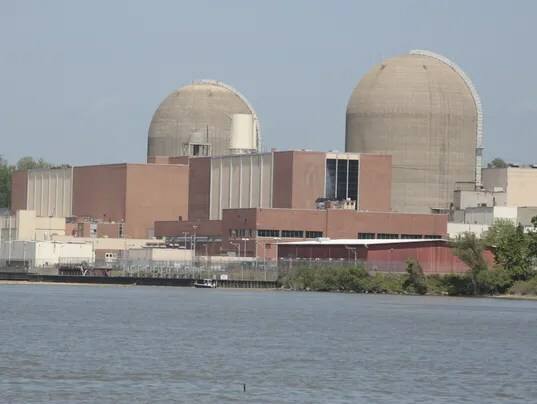 BUCHANAN – Hundreds of “faulty” and “missing” bolts were discovered during a planned outage at Indian Point nuclear power plant and will keep a reactor shutdown for several additional weeks. A scheduled inspection at the Buchanan power plant of more than 2,000 bolts on the face of a removable insert liner in the plant’s Unit 2 reactor “revealed issues” with about 11 percent of the bolts, or 220, Entergy said in a released statement on its website Tuesday. The issues found included “missing bolts” and “other degradation requiring replacement of the bolts,” Entergy said. “While there is no immediate danger to public health and safety, this troubling news further validates the State’s ongoing investigation into the operations of this aging power plant and our position that it should not be relicensed,” he added. Engineers conducted more than 350 inspections to equipment during the planned maintenance, Entergy said, including testing and inspections of the reactor containment area, the reactor vessel, the control rod mechanism, coolant pump motors, and steam generators. But Cuomo’s office seems intent on preventing the nuclear power plant from gaining the certification necessary to continue operating. In November, the New York Department of State refused to give Indian Point a certificate required for future use of the Hudson River. Months later, Entergy filed suit against in federal court seeking a court order to toss out the state’s refusal, contending the state certificate is not needed for the plant’s continued operation. As North Korea rattles its nuclear saber, threatening to bomb the U.S. at “any moment,” a nerve-jangling question hangs in the air: If Pyongyang did launch a nuclear-armed missile at an American city, could the Pentagon’s missile defenses overcome their spotty test record and shoot it down beyond U.S. shores? America has never faced such a real-life crisis, and although officials say they are confident the defenses would work as advertised, the Pentagon acknowledges potential gaps that North Korea or others might be able to exploit, someday if not immediately. One possible vulnerability involves a foe’s “countermeasures,” or decoys carried aboard long-range offensive missiles to fool a U.S. interceptor missile into hitting the wrong target. The Pentagon has poured at least $84 billion into missile defense over the past decade and is planning to spend another $3.3 billion over the next five years for a single element of the system, known as Ground-based Midcourse Defense, or GMD. Its key part is a network of interceptor missiles designed to launch from underground silos, fly into the path of an enemy missile as it arcs through space and smash into it, destroying it. That system has failed three of its last four intercept tests. The only success in that series was the most recent test, in June 2014. Adm. William Gortney, America’s homeland defender as head of U.S. Northern Command, told Congress this month that the nation needs “more capable forces and broader options.” Key improvements are in the works, including a “long-range discrimination” radar for more effective tracking of incoming missiles. The North Koreans’ harsh rhetoric, including a threat in late February to deal “fatal blows at the U.S. mainland any moment,” is linked in part to its anger at U.S.-South Korean military exercises, which the North sees as a rehearsal for an invasion. No one is predicting a bolt-out-of-the-blue North Korean nuclear attack, but the threat looms larger as the Koreans seemingly stride closer to fielding a nuclear-armed missile that can reach U.S. territory. Already this year they have claimed a successful H-bomb test, put a satellite into space orbit and claimed a successful simulated test of the warhead re-entry knowhow needed for a missile strike on the United States. On Thursday, the North claimed to have successfully tested a solid-fuel rocket engine which, if true, would mark a significant further technological advance. The use of solid fuel reduces launch preparation time and thus shortens warning time for U.S. defenses. More appears to be in store. State-run media reported earlier this month that leader Kim Jong Un ordered preparations for a “nuclear warhead explosion test” soon and test-firings of “several kinds of ballistic rockets able to carry nuclear warheads.” With increasing regularity, the North Koreans are claiming major advances on the nuclear front that have caught Washington’s attention, even if they are exaggerated. Of particular worry is a long-range missile under development in North Korea that the U.S. calls the KN-08. The Pentagon’s most recent public report on North Korea says the KN-08 has a range of more than 3,400 miles, putting it into the category of an intercontinental ballistic missile, or ICBM. Gortney said the KN-08 has “profound implications,” especially if it is deployed as a road-mobile weapon, meaning it could be moved and launched from vehicles that make it less vulnerable to detection. Such mobility, he said, would enable the North Koreans to elude or confound traditional U.S. pre-launch warning systems. Gortney says the North Koreans may have figured out how to make a nuclear warhead small enough to fit atop a KN-08 missile. “While the KN-08 remains untested, modeling suggests it could deliver a nuclear (weapon) to much of the continental United States,” Gortney told a Senate panel March 10. The segment of U.S. missile defenses designed to stop a long-range North Korean missile are the interceptors based at Fort Greely, Alaska, and Vandenberg Air Force Base in California. Three years ago this month, Defense Secretary Chuck Hagel announced that the Pentagon would increase the number of deployed interceptors to 44 by putting an extra 14 at Fort Greely. The price tag for that expansion, initially put at $1 billion, has jumped to $1.5 billion. None of the extra 14 interceptors has been deployed yet but all are to be in place by the end of next year. Defense Secretary Ash Carter told a House committee last week that the Pentagon also is working on a more effective “kill vehicle,” which is the 5-foot-long device attached to the top of an interceptor; its internal guidance system helps steer it into an oncoming missile, destroying it by force of impact. Easter attack on nation with growing nuclear arsenal a new reason to keep troops in Afghanistan. Half a world away from Belgium, terror and death have hit another American ally and where the stakes are even higher. This time, the target was Pakistan — a suicide bomb ripping through a Christian Easter celebration in the heart of Lahore, capital city of the Punjab, killing scores, wounding hundreds. It was a powerful and direct message to Pakistan, which unlike Belgium, likely has the world’s fastest growing nuclear arsenal. The message to the nation’s prime minister, Nawaz Sharif, from a faction of the Pakistani Talban, who quickly claimed responsibility for the attack in his home base of Lahore, was simple and direct. “He can do what he wants, but he will not stop us,” said Ehsanullah Ehsan. a group spokesman. It was as clear evidence as possible that the Taliban is determined to destabilize, even topple the government or nudge it away from its pro-American position into one more favorable to the radicals’ toxic agenda. The 20 pounds of explosives packed around quantities of ball bearings were designed to maximize the lethal footprint of the blast. And the fact that it took place Southeast of Islamabad, far from Taliban strongholds along the Afghan frontier suggests its ability to work its will as it pleases. The danger for America is that such a move comes against a background of deeply troubling activity in a region that itself is teetering on the brink of profound unrest. It was, after all, in Pakistan, where an American Navy SEAL team located and terminated Osama bin Laden. It is also Pakistan where the Taliban and other tribal forces maintain their back offices and arms depots for their immediate aim of overthrowing the American-backed regime in neighboring Afghanistan. They are waiting — for the American withdrawal and at the same time for a more accomodating attitude among the leadership of Pakistan toward their wants and needs. The danger is that such wants and needs could extend into the arsenal of nuclear arms that Pakistan is expanding at breakneck sped. Already, its nuclear stockpile has passed neighboring India’s — 120 to 100 in terms of deployed warheads. This is a fraction of the numbers maintained by the United States and Russia. But at its current pace, Pakistan’s arsenal could balloon to 350 in the next decade — placing it third in the world, ahead of China, Britain or France. According to the Carnegie Endowment, Pakistan has enough highly enriched uranium to continue the buildup all but unchecked. “The growth path of Pakistan’s nuclear arsenal, enabled by existing infrastructure, goes well beyond the assurances of credible minimal deterrence provided by Pakistani officials and analysts after testing nuclear devices,” the report concludes. Just how effective such an effort might be should become a central focus in the calculus of when and in what fashion to pull American forces out of Afghanistan and leave a nuclear armed-up region to its own devices.